We campaigned and campaigned until we could campaign no longer. November 8th, 2016 is a special day for us. 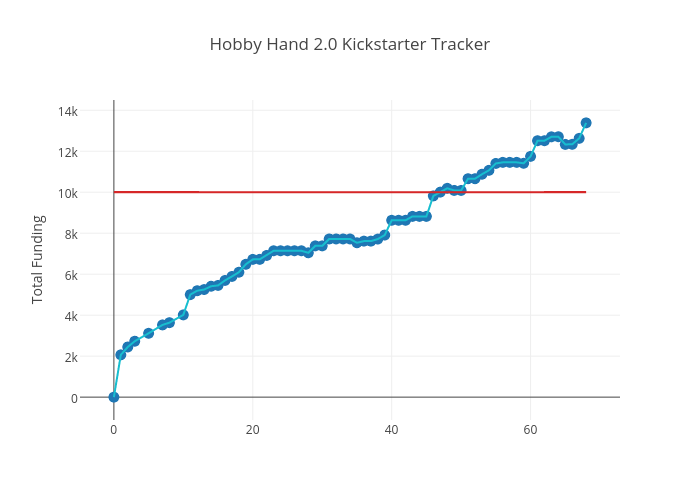 We have been successfully funded (133%) in order to bring the Hobby Hand 2.0 project to life! We are thankful to all of our 92 backers and social media supporters along the way. As we wait for the parts to come in, we will be adding content to our newly minted forum: brg.discussion.community (found on the forum tab). This is the beginning of a new chapter to bring these educational kits to the market! We are excited to advance our currently technologies and designs in our Hobby Hand platform. Design is iterative. Subtle changes for the Hobby Hand 2.0 increases mimicry of our own hands. 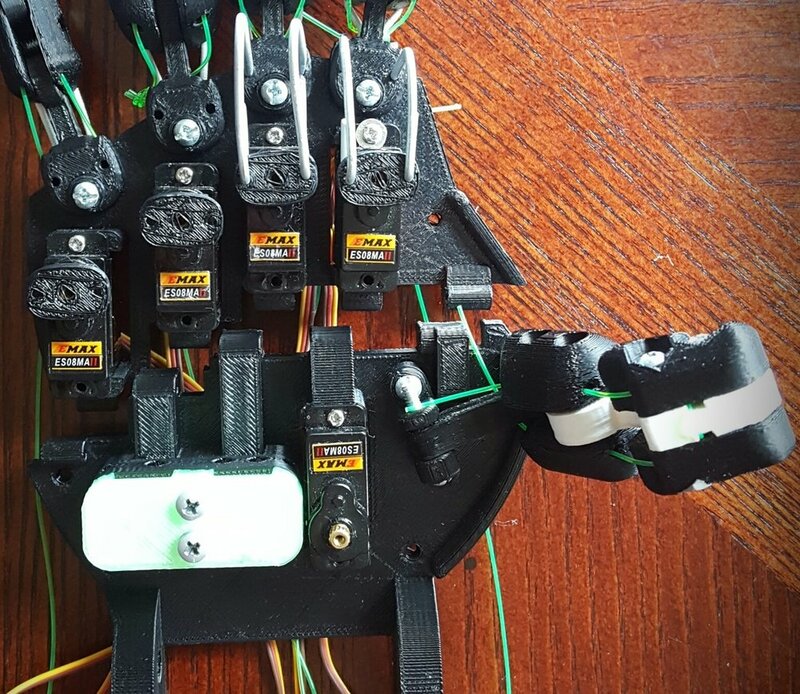 The Hobby Hand 2.0 is meant to test our prosthetic hand designs. The Hobby Hand gives us the opportunity to interact with all those interested in 3D printing, micro-controllers and tech stuff! Here are some changes that we made from our previous design. Hobby Hand 2.0 performing a sit up, this campaign has been a work out! We made some subtle improvements on the split frame. The rod that holds the 'hinge' sits flush nicely (hidden behind the servo). We improved the rigidity of the hinge as well! Hinge exposed without a servo motor in place! No, it's not space. We are trying to bring in the final frontier by degassing silicone (found below). We decided to include a silicone backing material for our Hobby Hand! This will enable the split frame to open and close while looking great. 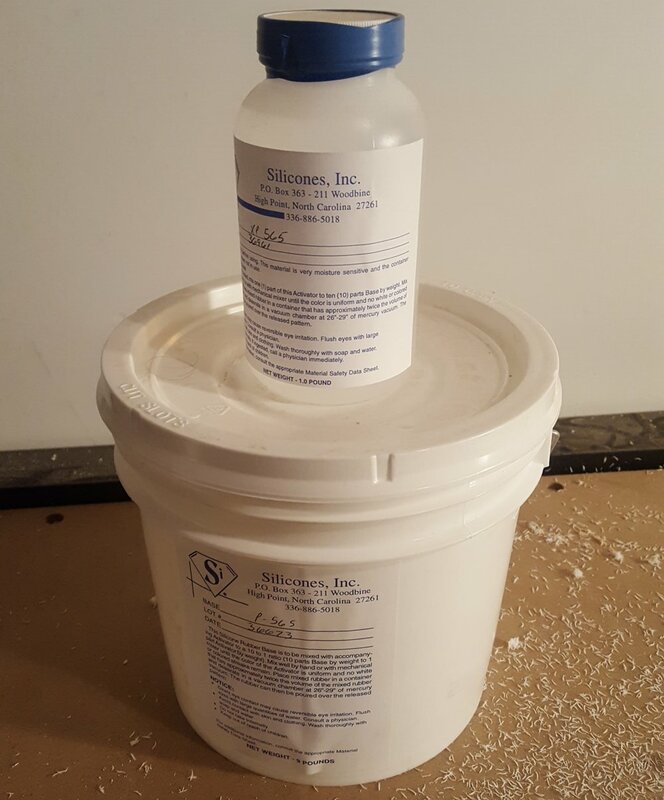 We ordered a small quantity of silicone for our initial molding of the back piece for the Hobby Hand. The silicone back piece will improve aesthetics while allowing for the split frame to open and close. Silicone is relatively easy to work. When you mix the hardening agent with the Silicone it starts to bubble up (air gets trapped inside). In order to remove these air bubbles, we need to use a vacuum chamber. This will effectively pull the air out of the silicone to make it crystal clear! We are still deciding if we want to degas the silicone, the bubbles will actually help diffuse the RGB Led's we plan on embedding! 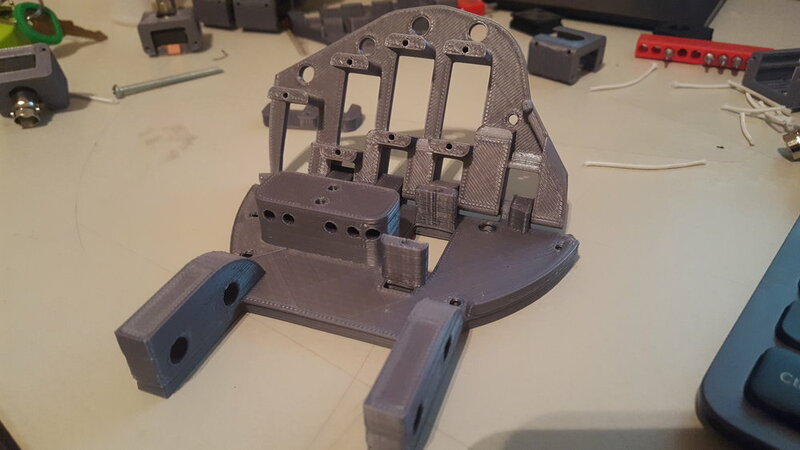 We shortened the Hobby Hand servo frame by 4 mm. This allows for greater accessibility (aka servo wire length) to the Arduino board that sits underneath. This also reduces the overall 3D printing time and lowers the center of gravity (just in case Hobby Hand gets tipsy). The human hand (the musculoskeletal system) is quite impressive if you break down all of the joints, muscles and structures that generate natural hand movement. We split the Hobby Hand in half to increase the range of motion (mimicry is the greatest form of flattery, so they say). At first blush you may think to yourself 'this thumb looks the same' and you would be completely right. There is a night and day different upon further inspection. We have increased lateral (side to side) and flexion (closing of the thumb) movement. Assembling the analog controller board was a pain in the neck. The current design requires small wires to be placed, aligned and soldered. We will use an end mill to create single sided PCB's. This gives accessibility for those who want to assemble the kit in its entirety. Once we receive the end mill, we will post an update that discusses how this will be used! *Note, there will be only one analog controller to control them all! We will use the same analog controller for both the Hobby Hand Lite and Hobby Hand Full kits! Our previous Kickstarter had too many rewards that ended up being really confusing (assembled, unassembled, lite, solo, full, early bird etc). We decided to keep it simple, we may still add in a reward level for between the Hobby Hand solo and Hobby hand lite. We were able to reduce the prices of all Hobby Hand kits by using alternative open source Arduino boards. We were able to lower shipping costs internationally (we received feedback that the costs were too much). We will keep this page updated with additional changes that we make throughout our campaign. Please feel free to contact us. If you like what we are doing, please share it!